Designed for cool riding conditions the Assos ij.tiBuru evo7 Jacket achieves a perfect balance of warmth, breathability and with a close aero fit it helps maximise your speed. It's just right for a cool autumn and spring day. The ij.tiBuru _evo7 Jacket makes full use of Assos' own RX and RXQ fabrics, creating a jacket that traps warmth exactly where you need it most while maintaining excellent breathability. This makes it ideal for autumn and spring when you've got some speed in the legs and generate body heat through higher intensity riding. The RXQ back panels are highly breathable to let that build up of perspiration escape, ensuring you don't feel chilly when the pace slackens. 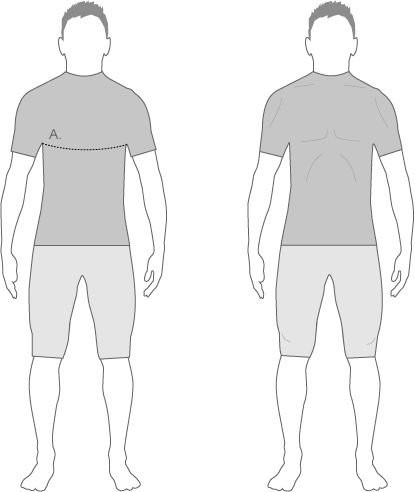 As with all Assos garments, the fit is finely tailored so you get the correct fit when in a road bike position. Close and aerodynamic the jacket also allows plenty of freedom of movement so you don't feel restricted. With three rear pockets and a zipped pocket, you've got ample space for loading up for a longer ride. When a jersey and arm warmers don't quite cut it this jacket adds that extra touch of insulation you'll welcome. However, should those sprints for signs get you super sweaty this jacket breathes to prevent a chill. Assos iJ.tiBuruJacket_evo7 Black 3XL is rated 5.0 out of 5 by 1. Rated 5 out of 5 by gplou from Very Quality Product. I did not ride with it yet but it seems very nice as always with Assos. Best fit and feeling. I have the Black in Large and i am 184cm, 80kg and it is tight but not restrictive. I am waiting for the weather get cold to wear it.